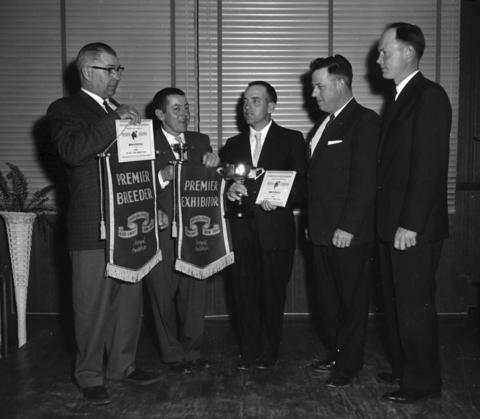 This picture shows award winners from the Wellington Holstein Breeders Club. From left they are R.D. Graham Premier Breeder and Grand Champion Female, Douglas Anderson Premier Exhibitor, Bob Anderson Grand Champion Male, and two presenters.